Carrie Underwood shimmied her way down the red carpet for the 49th Annual Academy Of Country Music Awards at the MGM Grand Garden Arena on Sunday (April 6) in Las Vegas, Nevada. Dressed in a white Oscar de la Renta gold-beaded fringe gown, I wanted to be wowed but this feels a bit tame by Carrie’s standards. I don’t dislike the gown by any means – I just wanted more. More frou frou, as I missed a princess moment on this red carpet. The look was styled with signature glossy waves, Jimmy Choo sandals, a white beaded clutch and David Yurman jewels. 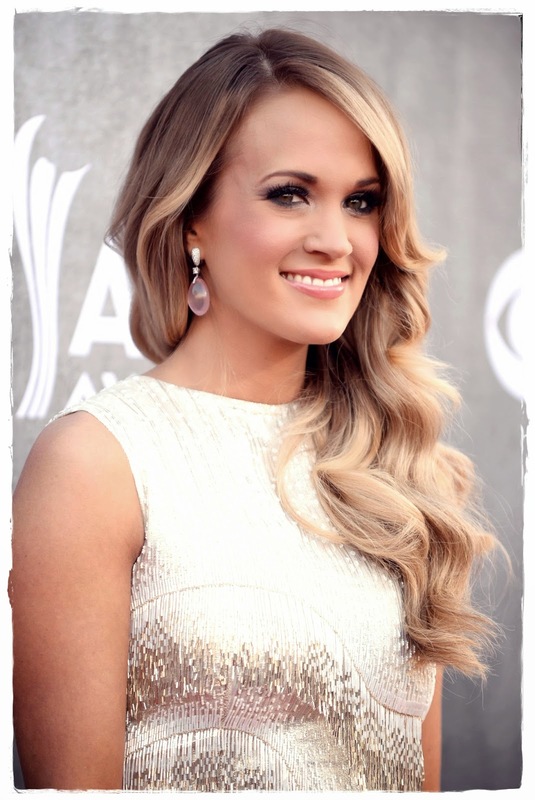 0 Response to "Carrie Underwood in Academy Of Country Music Awards Red Carpet 2014 in Las Vegas"